I'm quickly becoming a Board Game Geek, which is fun, because I used to avoid games of all kinds for years. Having only been exposed to Monopoly (Really? MUST it drag on for days? Especially when you play with your older brother who ALWAYS ended up with monopolies and Boardwalk and Park Place... while I ended up with a random St. James Place, Reading Railroad --because I loved the thought of reading on a train--and Oriental Avenue--because egg rolls), Sorry (HATE that game), and Scrabble (3 letter words were usually the best I could do). So I kind of ventured back into board gaming without the best attitude, especially after dozens of Candy Land and Hi Ho Cherry Oh games with my young boys. 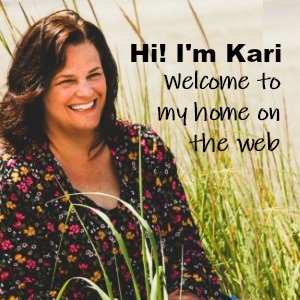 It wasn't until we went to a mysterious store up the road from our home called Rainy Day Games, that I realized there was a whole secret world of FUN games out there. 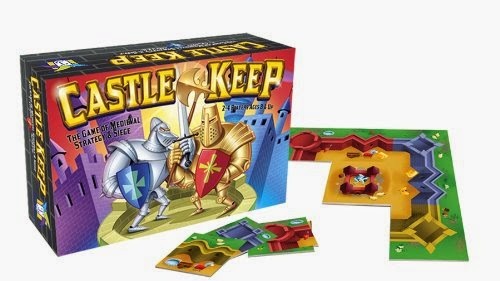 We experimented with a small game called Castle Keep that was our first step into this strange new board game world. The boys were pretty young when I got this, and I was still scarred by Candy Land, but we all really enjoyed it. The boys were little, but easily understood matching shapes and colors to build their walls, and there was enough fun to keep me interested too. It's a good introduction for younger kids into tile placement games. We moved on to other games as money allowed, including bananagrams (though I still don't rock at more than four or five letter words), then some lego board games... then we discovered co-op games! THIS was cool. Our boys HAD to work together to win? YES. 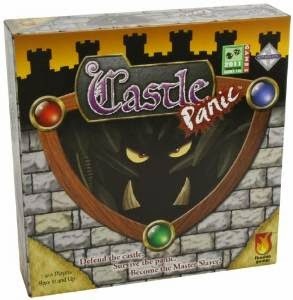 We started our adventure into co-op games with Castle Panic. It is a great game where you are trying to keep your 3D castle from being invaded by monsters from the forest, or crushed by rolling boulders. Everyone works together to attack the monsters on different sections of the board to keep your castle standing. You can make the game long or short by taking out some of the monsters. My younger two like this game, but my older and husband think it's just okay because it does run long if you don't intentionally shorten the game. We also added the dice rolling and blood pressure increasing game Escape! to our collection. It's a high paced game with lots of fun stress, increased by the Indiana Jones like music track that you play along with the game. Everyone rolls at the same time, and everyone moves through the tile placing and expanding board at the same time, listening to the cues on the CD to know when you have to get back to safety or get OUT of the temple. It's a loud game, but only lasts 10 min before it's over. Friends and family have played this with us and really enjoy it. 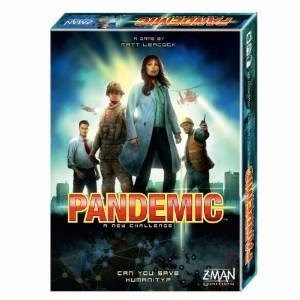 Then there's Pandemic. This is still my favorite co-op game, but it has a huge learning curve. Know that if you play it with friends, it's going to take a few times through for them to feel like they understand it. If you pick it up yourself, I recommend you watch some videos to get a feel for it, and you'll find if you win easily, you are doing something wrong. It's less that a 50% win rate for us. Probably closer to 30%. But it's good and really requires a lot of team work to make it through. We bought the first expansion (which is awesome because of the petri dishes to store viruses and the fact that everything from the original game fits in the new box), and we play with that sometimes, but the basic game is amazing by itself. 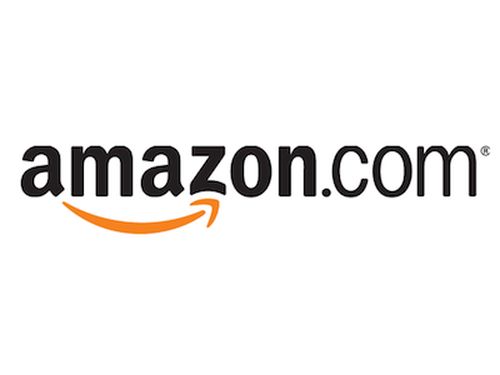 The third expansion we will eventually purchase too, because it's a whole new way to cure disease! 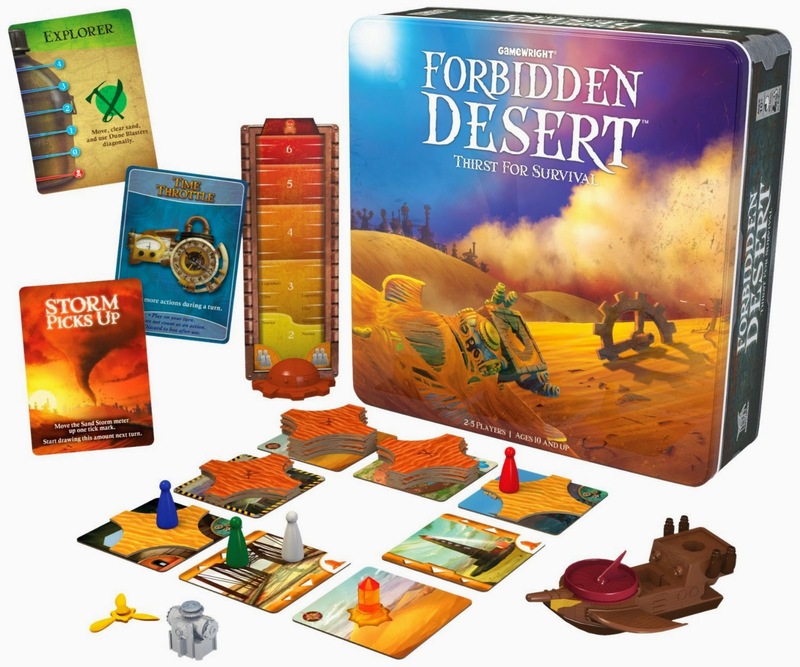 We just purchased Forbidden Desert, which is kind of like Pandemic lite. It plays close to the same as Pandemic, but is less complicated. Features a 3D flying machine that you have to gathers parts to, and great tiles to lay and interact with as the desert winds blow sand over everything. Good game when you're not as up for the strategy and intensity that Pandemic requires. 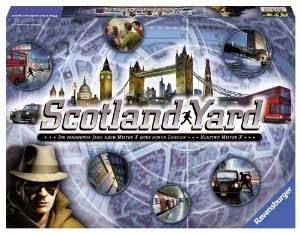 We also have an old favorite, Scotland Yard, that we play with friends, or just by ourselves. 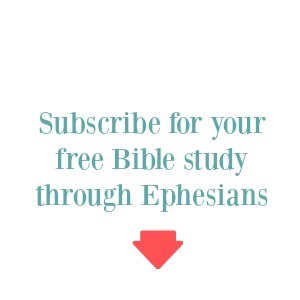 Very easy to learn, and fun to play. It's partial co-op... one of the players is the mysterious Mr. X and is trying to outwit and escape from the others, who are Scotland Yard. You play on a "map" of London as you try to corner Mr. X by taking the subway (tube), buses, or taxis. We've had a laugh-till-you-cry time when we played while talking in British accents. But, we're weird that way. 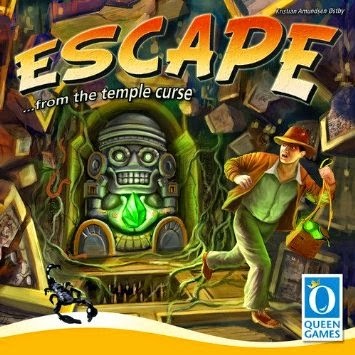 If you are new to this world of European style board games, I'd recommend starting with Forbidden Desert or Castle panic or Scotland Yard and go from there. I guarantee though, once you dip your toes in, you'll never want to go back!